Naomi Spungen interned in the summer of 2013 in the Garden’s public relations department. During the year she studies American literature and communications at Boston University. At the Chicago Botanic Garden, variety is truly the name of the game. After all, the Garden is home to more than 2.6 million plants—both native and exotic—with 26 gardens and four different types of natural areas. 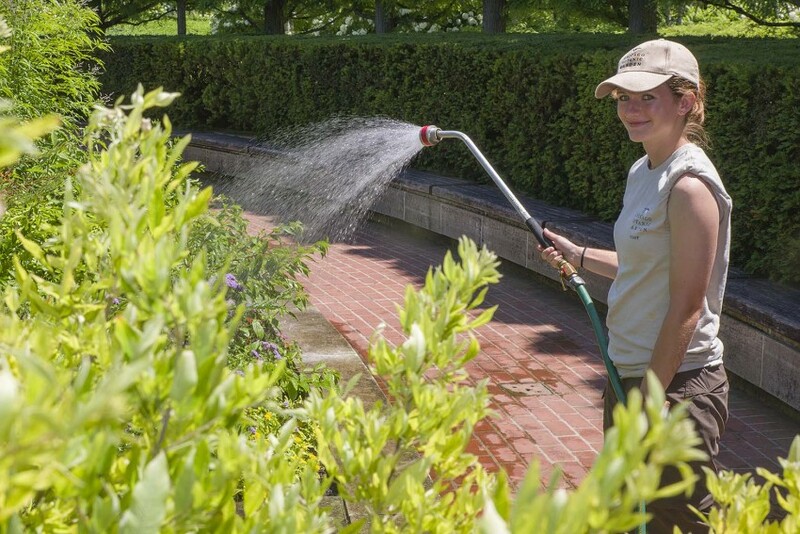 But plants aren’t the only aspect of the Garden both numerous and varied: so too are the Garden interns, the young, intelligent, hardworking, and hilarious behind-the-sceners whose hard work is essential to keeping the Garden the world-class, varied, and vast living museum that it is today. But who, exactly, are these young people who have forgone relaxing, carefree summer days to toil in the soil? Sitting in a room with five of the interns quickly reveals a surprisingly wide variety of interests and personalities. To intern at the Garden, apparently, one does not necessarily have to be a Birkenstock-wearing, granola-chomping nouveau-hippie (though full disclosure: I did not look at their feet nor peer into their breakfast bowls). Instead, each one of these interns is approaching the work from a different place, with different backgrounds, fields of interest, and long-term goals. For example, there’s Patrick Hogan. Patrick is from Wheeling, Illinois, and is a graduate of SIU in Carbondale. At school he studied landscape design but his real interest, he says, lies in plant propagation, pollination, and crossbreeding. 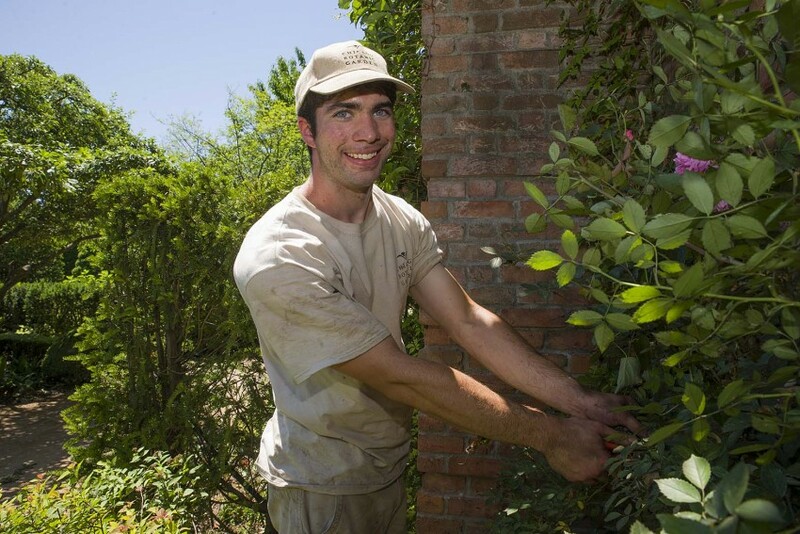 At the Garden, Patrick interns in the production department, which involves all three tasks. “My goal,” he said with a grin, “is to one day have a plant named after me.” Patrick also seems to have an interest in human propagation—his first son was born nine months ago, and he says he looks forward to expanding his family in the future. 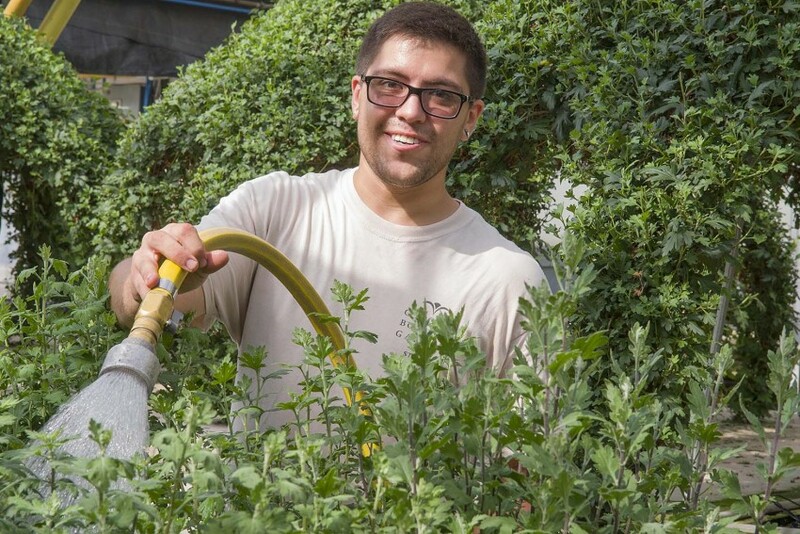 These young people are exploring interests in horticulture, landscape design, production, and just about every aspect of Garden culture and strategy—literally—from the ground up. For the college-age and recent grads interested in biology, or design, or anything in between, an internship at the Chicago Botanic Garden can be an informative, productive, hands-on, and (most importantly) enjoyable way to spend a summer among the plants, and among the plant-minded. An aside: not all of the internship opportunities at the Garden require hours of hard outdoor labor. Mine, for instance, requires hours of hard indoor labor. I’m only partially joking—I am consistently being challenged. As an intern in the PR department, I’ve been tasked with a little bit of everything the PR team does, from writing press releases and sending media alerts to producing blog posts and videos. Of course, to do all that I’ve had to learn quite a bit about horticulture and the immense amount of behind-the-scenes work necessary to create and run the many community projects, classes, events, and gardens here. So, if you’re interested in nonprofit work or improving your communications know-how but haven’t got a green thumb, don’t rule the Garden out yet. There is a lot of interesting, engaging work to be done here from behind a desk, too. Posted on August 6, 2013 January 3, 2014 Author Naomi SpungenCategories Behind the ScenesTags horticulture, interns, summer1 Comment on Meet the Interns!